Successfully saved Sun-Dried Tomato Pasta Salad with Chickpeas to your Calendar. You can also save the ingredients to your Grocery List. 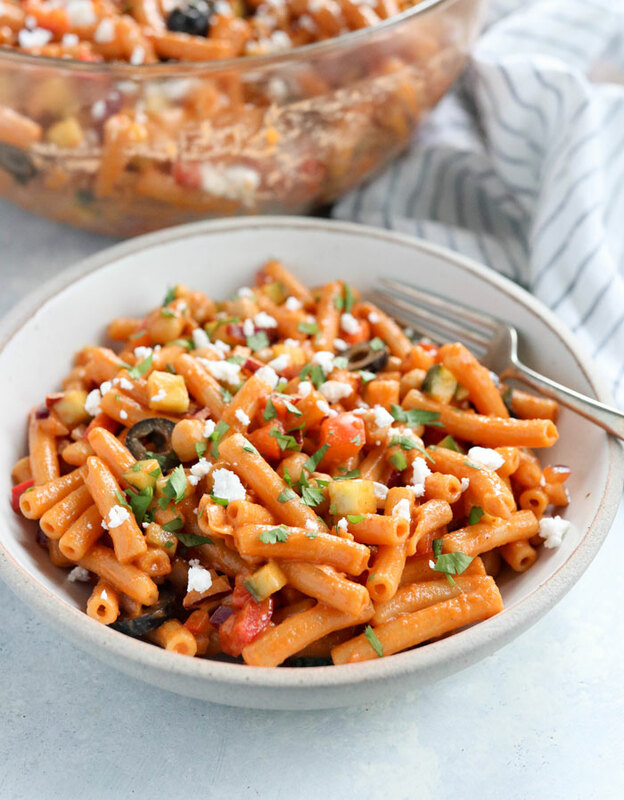 This Sun-Dried Tomato Pasta Salad is an easy make-ahead meal that's loaded with plant-based protein. Made with lentil pasta and tossed with a flavorful sun-dried tomato dressing.